As customers, we’ve been waited on by people who quit but never left. As employees, we’ve been managed by bosses who quit but managed to stay. As managers, we have managed people who physically attend but mentally pretend. Disengaged workers are costing U.S. based organizations in excess of $250 billion as noted by a recent Gallup poll. Our own research shows that three out of four workers polled are disengaged. This price tag includes co-worker and customer dissatisfaction plus loss of loyalty on both sides. Who wants to work with a person who performs only enough to get by? Who wants to be served by a person who barely does what is expected? Disengaged employees can cost your company thousands of dollars in lost productivity every day. The costs are even higher when you factor in customer dissatisfaction. Engaged Leader Essentials, a proven and highly successful process from The Kabachnick Group, is comprised of custom services to help executives, managers, and supervisors learn to increase employees’ engagement — and their productivity. Your leaders will learn how to turn their staffs into devoted and determined employees who delight customers and strive to exceed expectations. How do you Turn Leaders into Engaged Leaders? Engaged Leader Essentials is designed to put the principles of Terri Kabachnick’s book, I Quit, But Forgot to Tell You, to work throughout all levels of your organization. This groundbreaking book, based on detailed analysis of approximately 50 organizations, lays out a straightforward and proven process for creating an engaged leadership team which, in turn, fosters an engaged employee workforce. Aligning leaders with the company’s goals and objectives. Your management team will learn how to organize work to efficiently and consistently produce results. Selecting the right people and matching them to the right jobs. Employee engagement starts with the “right hire”; we’ll help your team increase its hiring success. Building capacity to achieve business objectives. Your leaders will learn how to help employees gain the knowledge and skills required for a successful start and how to provide the right resources and development to ensure ongoing engagement and employee loyalty. 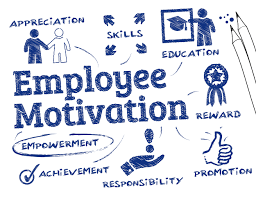 Motivating employees to be passionate about their work. Leaders will learn how to increase employee productivity by focusing on accountabilities and contribution rather than executing responsibilities. Engaged Leader Essentials is not a typical management training program. We help your management team embrace new techniques and tools that focus on employee performance, productivity, and loyalty. In fact, unless your management team first understands the causes of employee disengagement and learns practical ways to address it, the value of future training investments will be greatly reduced. After a detailed assessment of your organization and business goals, we’ll create a customized solution that can include many – or all – of these components: executive briefings, job benchmarking, results-focused assessments and coaching, leadership workshops, integrated learning programs, and an efficient implementation process. Learn more today. Call us for a free consultation and find out how you can increase profits and productivity through an engaged workforce. As part of our consultation, we’ll deliver an executive briefing for your company’s senior management team. Overwork and under-appreciation, including heavy workloads, long hours, and lack of sufficient recognition. Culture shock, usually after mergers, when management fails to prepare employees for new culture. Politics and perception, when employees perceive managers playing favorites. Unwanted promotions (the “Peter Principle”). Business “by the book,” or strict adherence to rules at the expense of thinking. Poor performance by co-workers is the number one reason that dedicated and caring – engaged – employees leave their jobs. In a recent survey conducted by The Kabachnick Group, more than 1,500 executives and front-line people were assessed. The majority – 92 percent – agreed that their companies do not identify or deal with poor performers. Our recent studies also show that most people spend 80 percent of their time doing tasks and only 20 percent of their time achieving results. Therefore, it is critical for managers to be sensitive to and aware of every report’s job satisfaction status. Frequent conversations and involvement with the employee’s views, preferences, and goals are a must. However, if disengagement has already set in, a thorough assessment must be completed before any solution initiatives are prescribed. Trying to determine reasons for or causes of disengagement by simply asking the employee is like determining a heart condition by listening to the heart. Management needs to know the exact root of the disengagement and define the focus of improvement. In addition, the worker must agree that these assessment analyses are correct. Opinion has no role here.